Over the past ten years, I’ve had the opportunity to teach in a health policy course for medical students. And over the course of that decade, I’ve enjoyed working with dozens of future doctors as they study the rapid changes in our health care system, from the passage and implementation of the Affordable Care Act, to the proliferation of different Accountable Care Organization (ACO) models, to today’s wide-ranging proposals, from Medicaid block grants to single-payer models. 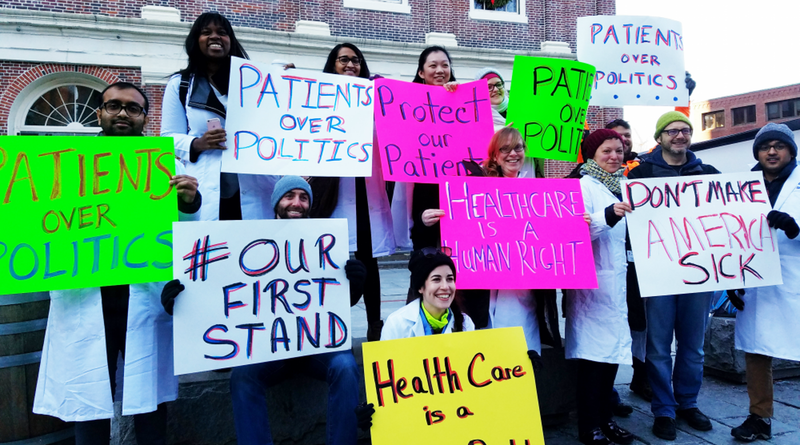 I’ve spent the month of January teaching, and I love being able to see the world of health policy through the eyes of my students, who bring thoughtfulness, compassion and idealism to our field. I mean, really complicated. By the time you talk about premiums, deductibles, cost-sharing, co-insurance, tiering, value-based insurance design, reference pricing, in-network and out-of-network, everyone’s eyes have glazed over. And these are super-smart, super-motivated medical students who are receiving formal education on this stuff. Good luck to an average consumer, trying to figure this out on her own. 2. Nobody really knows what an ACO is. But that “simple” definition quickly unravels as you poke at it. A health system might be an ACO for the purposes of one payer, but accept fee-for-service payments for another. And explaining global budgets, one-sided versus two-sided risk, leakage, true-ups and incentives and withholds starts to feel like trying to explain an iPad to my grandmother: saying that it’s “a touchscreen tablet computer that communicates using cellular or wireless data” gets me absolutely nowhere. But if I can show her how she can use it to video chat with her great-grandkids or look at photos, then it’s got a chance. It makes me realize that as a health care solution, ACOs (and many other innovative models of care) are a tough sell because no one can really explain what they are. Until people feel a tangible connection to them and see concrete benefits, we’ve got our work cut out for us. 3. The patient is an afterthought in the health care system. Students are great at asking that simple and powerful question: “why?” Why is our system so hard to navigate? Why is care so expensive? Why are some things covered and other things not? Our explanations, invoking payment arrangements, market power and financial incentives, don’t at all speak to the values and sense of purpose that brought my students to medicine in the first place. They’d always assumed that health care was, first and foremost, about caring for people. They learn – as they learn about how our existing health care system operates – that that’s not always the case. 4. This is no time to be sitting on the sidelines. Over the past ten years, there has been tremendous change in the health care system. We’ve seen our country make a big leap toward ensuring that people who are sick can get coverage and care, and then start to back away from that promise in the past year. I’ve seen students change from viewing health policy as something they are only marginally interested in (the “easy” class when they would really rather be studying neuroanatomy) to seeing that they need to understand what is happening and be engaged. As the doctors of tomorrow, they are thinking hard about what the future will be like for them as practitioners, and for the well-being of their patients. I admire their compassion and commitment. And I see hope for a new generation – of health professionals, community leaders, advocates and consumers – that can continue the push toward a truly person-centered health care system.